March 31, 2009 -- A quick perusal of recent headlines in just the past month indicates that the U.S. government is getting serious about healthcare fraud and abuse. A Nevada radiology group paid $2 million to settle accusations of false claims submitted to Medicare, while an Arizona cardiology practice paid $355,000 to put to bed accusations that it was violating Stark anti-self-referral laws. What can you do to make sure your practice doesn't land in the news? 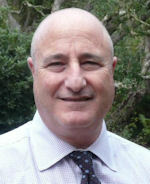 Healthcare business and legal affairs expert Mark F. Weiss. Fortunately, a recent federal court case may provide some guidance to radiology practices seeking to steer clear of the law, at least with respect to Stark regulations. A 2009 False Claims Act case -- United States of America ex rel. Ted D. Kosenske, M.D. v. Carlisle HMA, Inc.; Health Management Associates, Inc. (referred to as the Carlisle case) -- provides a rare interpretation of the personal services exception to Stark II. As the federal antikickback law was also at issue, and as its personal services exception is almost identical to that of Stark, the court's opinion provided guidance in that compliance area as well. Perhaps most importantly, the case provides highly useful information for radiology groups in avoiding compliance law violations, as well as in documenting the relationship between a medical group and its owner and nonowner physicians. Although the Carlisle case involved an anesthesia group, its overall lessons are fully applicable to radiologists. In 1992, Blue Mountain Anesthesia Associates of Carlisle, PA, entered into an exclusive contract to provide all anesthesia services at Carlisle Hospital in an agreement that covered intraoperative anesthesia. Although the agreement contemplated that Blue Mountain might later provide chronic pain management services, the group was under no obligation to do so. The agreement also gave Blue Mountain certain option and first-refusal rights to enter into exclusive contracts at future hospital-related facilities. During the second year of the exclusive contract term, Blue Mountain physicians began providing chronic pain management services at the hospital. In 1998, the hospital opened an outpatient clinic that included a pain management center. Blue Mountain and the hospital did not enter into any new or additional agreement, or modify their 1992 agreement, regarding the pain center, but Blue Mountain operated the facility on an exclusive basis. At the pain center, the hospital provided Blue Mountain with free use of office space, including a waiting room, exam rooms, and secretarial space, as well as free furniture, equipment, and staffing. The patients of the pain center included individuals covered by Medicare and other federally funded healthcare programs. Some pain management patients were referred by Blue Mountain to the outpatient facility for diagnostic testing and pain management procedures. Blue Mountain billed its professional fees and the hospital billed the facility fees regarding tests and procedures. Other patients were treated on a consultation basis by Blue Mountain's pain management physicians and were prescribed medication -- those patients were billed professional fees but did not incur any facility fees. One of Blue Mountain's physicians subsequently left the group and opened a competing pain management practice. He claimed that without fair market consideration from Blue Mountain to the hospital for the space, equipment, and services the hospital provided at the pain center, the group was receiving remuneration for the referral of pain management patients for tests and procedures at the hospital clinic. Therefore, the arrangement was in violation of the federal antikickback and Stark laws covering Medicare, Medicaid, and other federally funded patients. The whistleblower brought action under the False Claims Act, stating the hospital falsified certification of its compliance with the federal antikickback and Stark laws, both of which the hospital was required to follow to obtain payment from federally funded healthcare programs. The U.S. Court of Appeals for the Third Circuit found that Blue Mountain referred federally funded patients to the pain center for diagnostic tests and procedures. It held that the hospital's provision to Blue Mountain of free pain clinic space, equipment, and support personnel constituted remuneration under the antikickback statute and Stark laws for those referrals. Therefore, the False Claims Act was implicated. The hospital's defense was that the arrangement fell within the personal services exception to Stark and to the antikickback statute. Those exemptions require a written agreement -- the hospital claimed that the 1992 agreement satisfied that requirement. In rendering its opinion, the appellate court strictly analyzed Stark's personal services exception, which is similar to that of the antikickback statute. The only written agreement between Blue Mountain and the hospital was the 1992 exclusive agreement. The court found that it was not applicable to the pain center. The court stated that the 1992 exclusive agreement did not explicitly include the pain center within its scope -- there was no pain center at the time, such that the 1992 agreement could not apply to a nonexistent facility. The hospital's argument that Medicare considered the outpatient facility to be a part of the hospital for billing under its provider number, such that the pain center arrangement was included within the 1992 exclusive agreement, was rejected as having nothing to do with Stark Act concerns. The court also stated that even if the 1992 agreement could be read to apply to the pain center, it did not mention the pain management space, equipment, and services, whether at the hospital or at a later freestanding pain clinic. There was no arms-length negotiation over the fair market value of the space and services provided, but even if there were, the fact of negotiation alone does not establish fair market value. In order to comply with the personal services exceptions to Stark and the federal antikickback statute, written agreements must document the parties' respective obligations and remuneration with a high degree of specificity. If the scope of performance or amount of remuneration changes, so, too, must the documentation and the analysis of continued compliance. Option and first-refusal rights in one agreement to provide services at other hospital-related facilities are not specific enough to cover the provision of services at those other facilities, for purposes of meeting the personal services exceptions to Stark or the federal antikickback laws. Every arrangement involving an exclusive contract in which the level of services or support provided by the hospital, or the scope of services provided by the group, has changed since its inception must be audited for strict compliance with Stark and the federal antikickback laws. Arrangements that often go unquestioned due to the lack of an exclusive contract are even more vulnerable to attack. Therefore, it is even more essential that those arrangements be audited for compliance. Fair market valuation in respect of hospital-physician arrangements, whether or not reduced to a formal exclusive contract, must be supported by documentation. Exclusive contracts can be attacked indirectly through the False Claims Act. Finally, your partner (or employee or subcontractor) may be your downfall. In the Carlisle case, the whistleblower was a physician who was a partner in the group that benefited from violating the Stark and antikickback laws. Although not a panacea, groups must avail themselves of all possible noncompetition and similar restrictive provisions to dissuade competition that, once contemplated, might lead to indirect competitive attacks, such as a False Claims Act allegation. Mark F. Weiss is an attorney who specializes in the business and legal issues affecting radiology and other physician groups. He holds an appointment as clinical assistant professor of anesthesiology at University of Southern California's Keck School of Medicine and practices nationally with the Advisory Law Group, a firm with offices in Los Angeles and Santa Barbara, CA. Mr. Weiss provides complimentary educational materials to our readers. Visit www.advisorylawgroup.com for his free newsletter. He can be reached by e-mail at markweiss@advisorylawgroup.com.